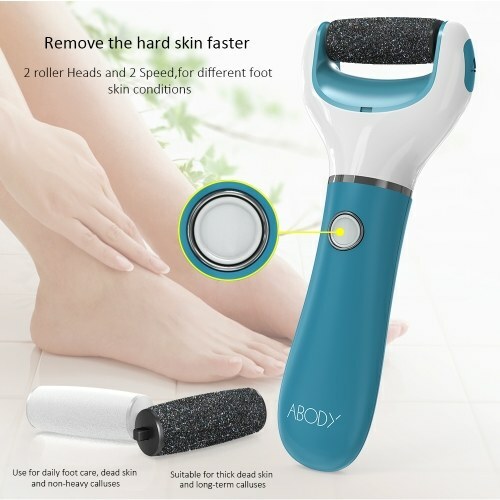 REMOVE THE HARD SKIN MORE QUICKLY ---- It has 2 different rollers and 2 type of speed. 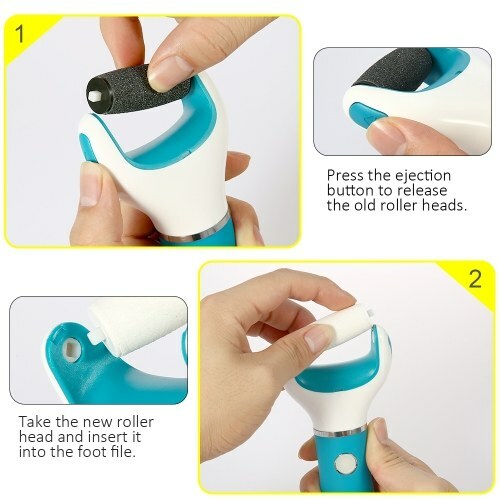 You can use the white roller to remove the thin calluses, and with the black roller to remove the hard calluses. 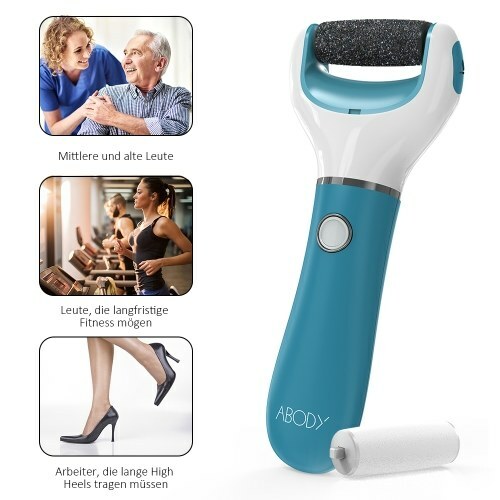 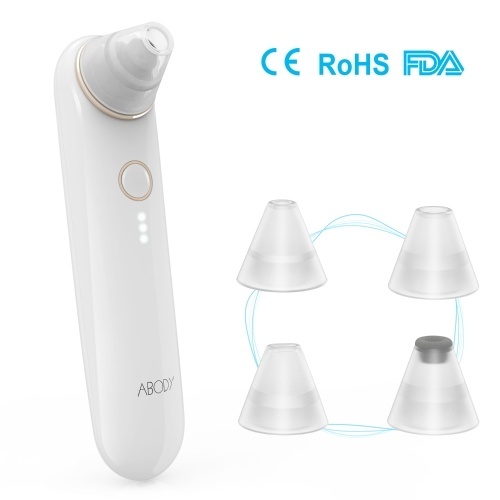 LONGER USE TIME ---- Unlike other roll pedicure devices that contain batteries (<600 mah), ours are 1200 mah (longer lasting), so it has a longer usage time and a longer life. 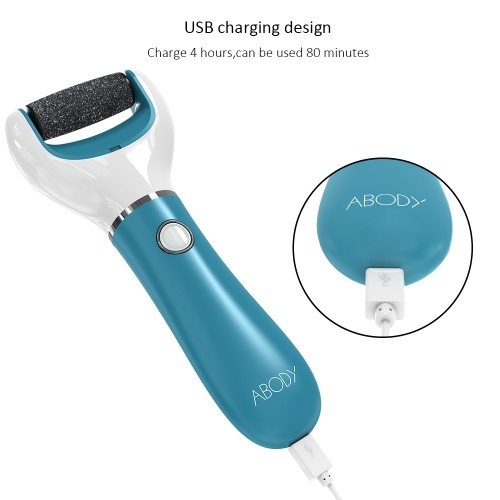 2 TYPES OF USE ---- Blue light is always in high-speed mode, up to 40 rpm, blue light flashes in low-speed mode, up to 30 rpm. 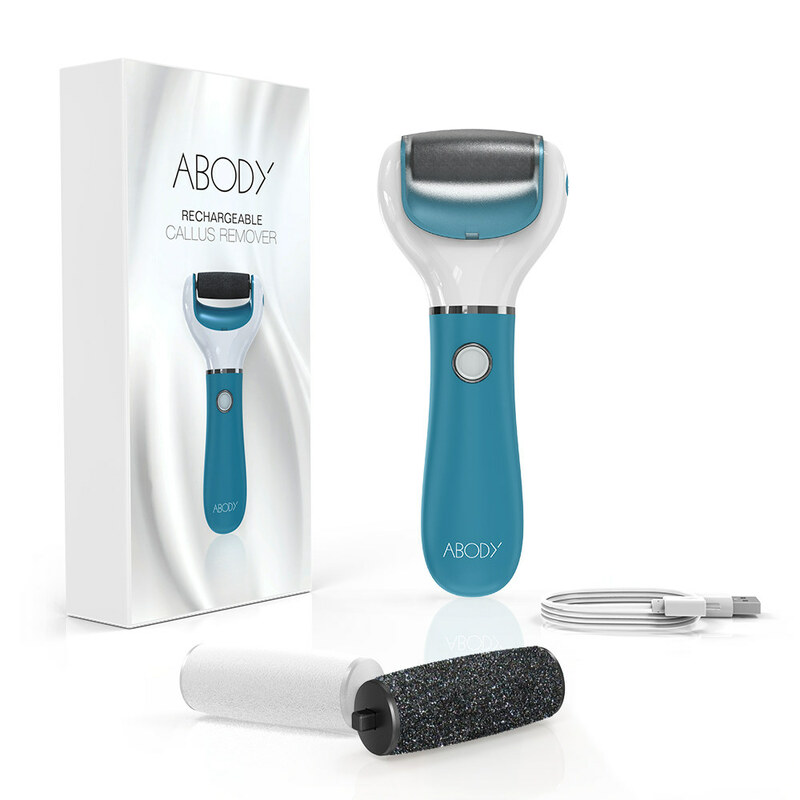 You can select different heads and speeds to remove different thicknesses of calluses. 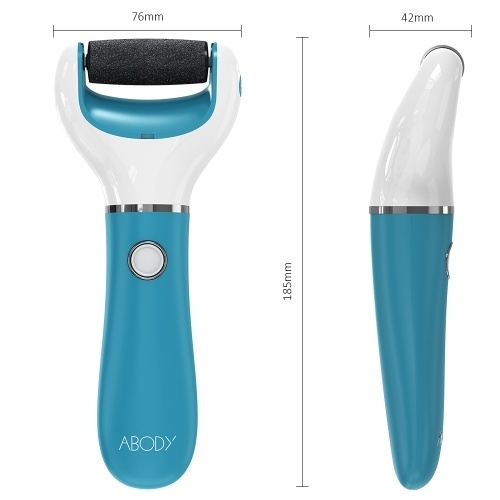 SCIENTIFIC HANDLE DESIGN Designed with a more powerful engine and improved ergonomic design, it is portable, works fast, safer and more efficient than using it. WARRANTY ---- The Abody brand, we pay close attention to the quality of the product, we will offer 6 months warranty for this product. 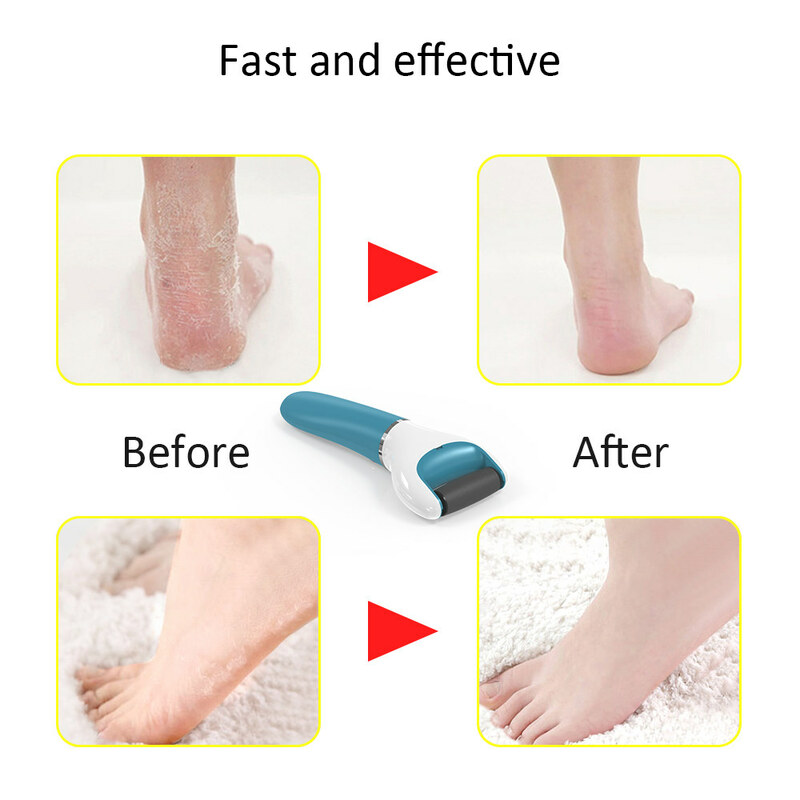 There was any problem or suggestion, contact us freely.